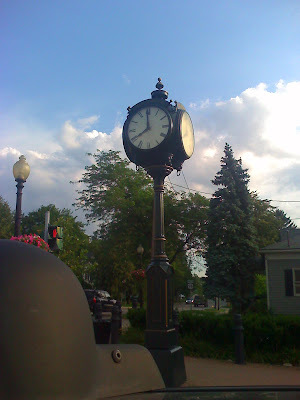 Pittsford post clock at 8:00 AM. You can see how this clock was made Here. The clock has a built-in GPS receiver to set the time, and optical sensors to know where the hands are so it can accurately set the motor-controlled pointers.